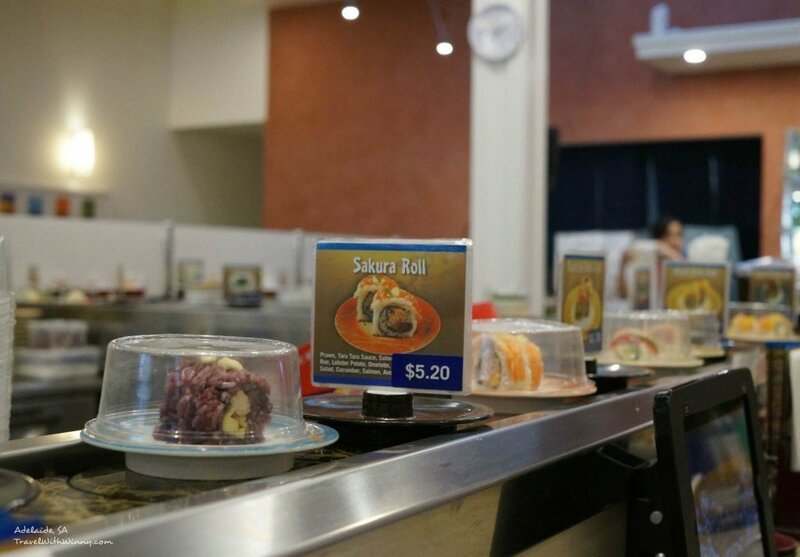 A sushi train restaurant tastes fresher, better quality and larger in portion compare to its competitors. Best ramen in Adelaide so far. Sushi Bar Genki is a restaurant that opened towards the end of Gouger Street in Adelaide China town. Winny and I love to come here for good, quick, authentic Japanese food. Sushi Bar Genki is a sushi train restaurant but we like this place a lot better than the restaurants named “Sushi Train”. The food here tastes fresher, better quality and larger in portion. 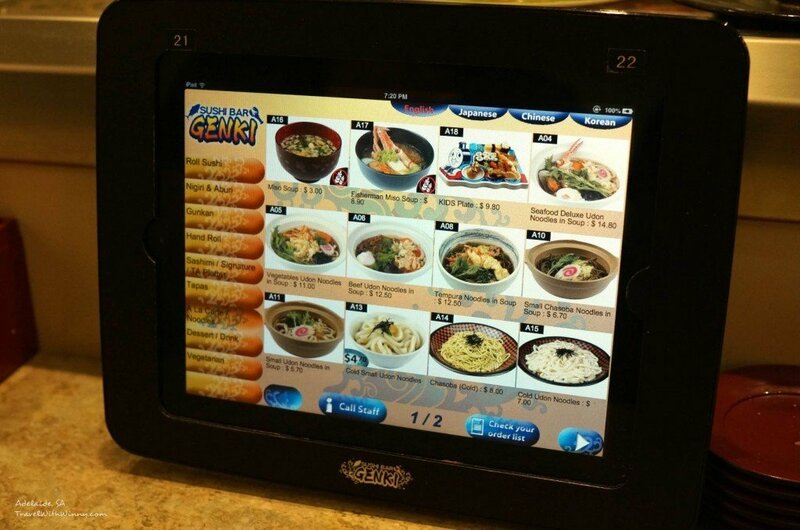 Sushi Bar Genki has an ordering system from an Ipad touch screen which makes the service run more efficiently and the food served more promptly. Although the touch screen system is quite common in Japan, it is quite a novelty in Adelaide. Besides the Sushi, we also discovered that this place serves good ramen. After tasting other Ramen stores in Adelaide, including the Chinese chain ramen store, Ajisen ramen and the newly opened Ryo’s noodle, we think that Sushi Bar Genki probably serves the best ramen in Adelaide. We went to the restaurant on a Sunday evening when we were starving and craving for some Japanese. The place is usually packed out normally but luckily they still have some seats left. We promptly ordered the ramen and some green tea. The green tea here is quite good and is refillable. The waitresses here are good at refilling them and if they don’t, there is a service button on the Ipad. The ramen we ordered was the “Tokyo Shoyu Ramen”. The Ramen was as delicious as previous times with the noodle tasting fresh and chewy. The soup was flavourful and authentic tasting. 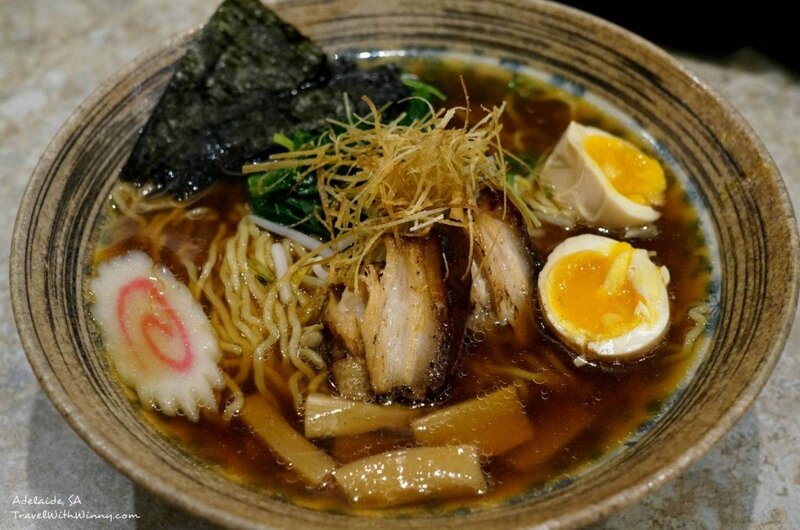 A good Ramen soup is usually time consuming and difficult to master. The hard egg in the soup was also delicately cooked with the egg yolk was still runny. The first of the Sushi we picked was the “Teriyaki salmon deluxe black rice roll”. 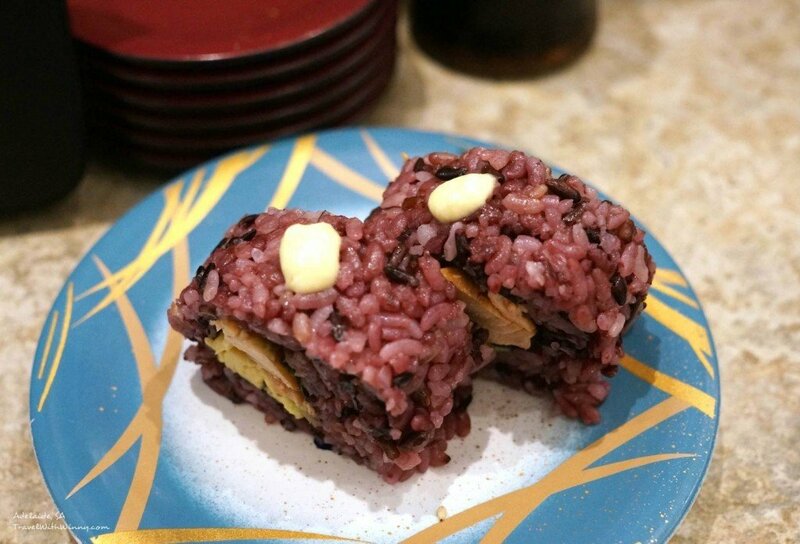 The black rice has a distinguish taste that adds extra taste to the sushi. The salmon is cooked in the roll and was flavoured and mixed well with the other ingredients. 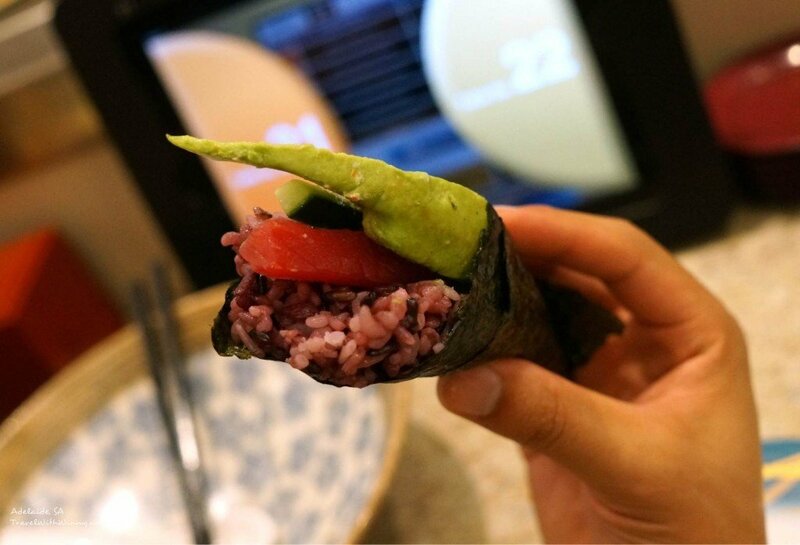 We also had a hand roll with tuna and black rice. This Hand roll was a lot better than the hand rolls we had at the new Japanese we had down at Glenelg. The black rice was fresh, the portion was decent and the wrap was done well. Winny is a fan of the green seaweed which has a slightly sweet taste. It is quite typical of Japanese places but we got them anyway. We had the Seaweed salad which was just a bowl of the green seaweed. 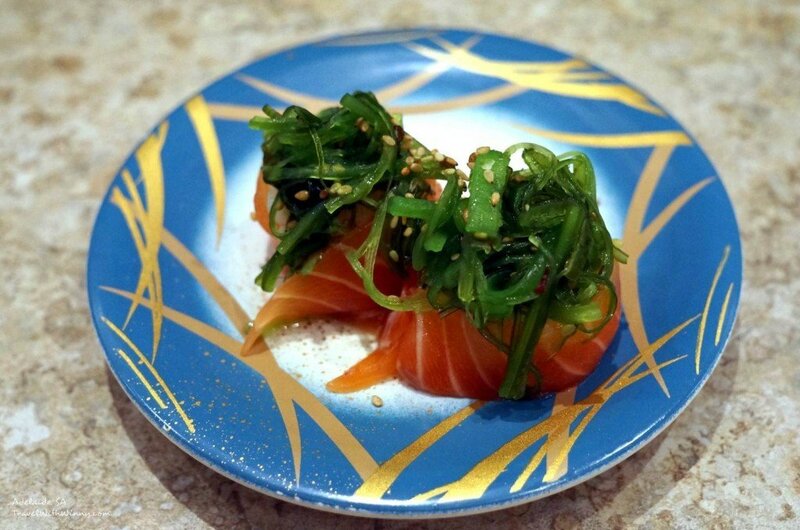 We also had the “salmon seaweed conveyor roll” which was fresh salmon wrapping the green seaweed. I believe I had enough of the green seaweed for a while after these two dishes. 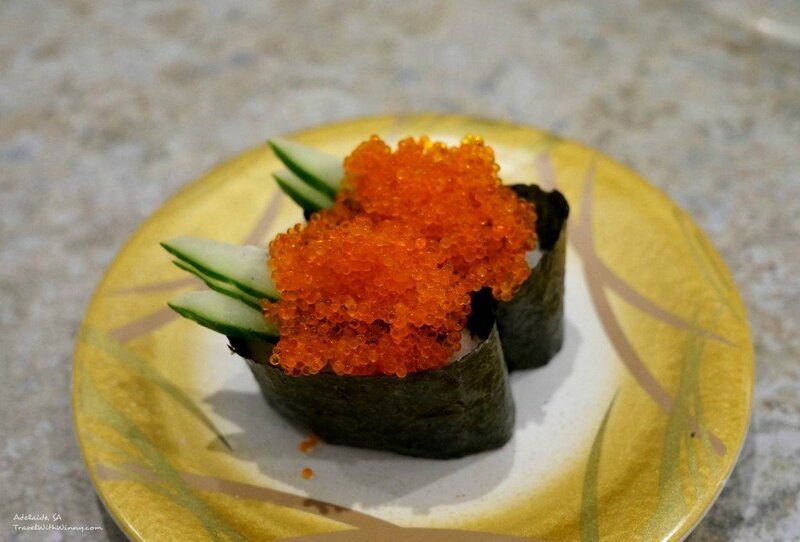 The next two dish we had we had was the “Ikura- Salmon Roe” and the “Tobiko- Flying fish roe”. Both are Winny’s favourite. The salmon roe was a little saltier than our liking though. The flying fish tastes typical but once again, the ingredients as nice and the portion were decent. 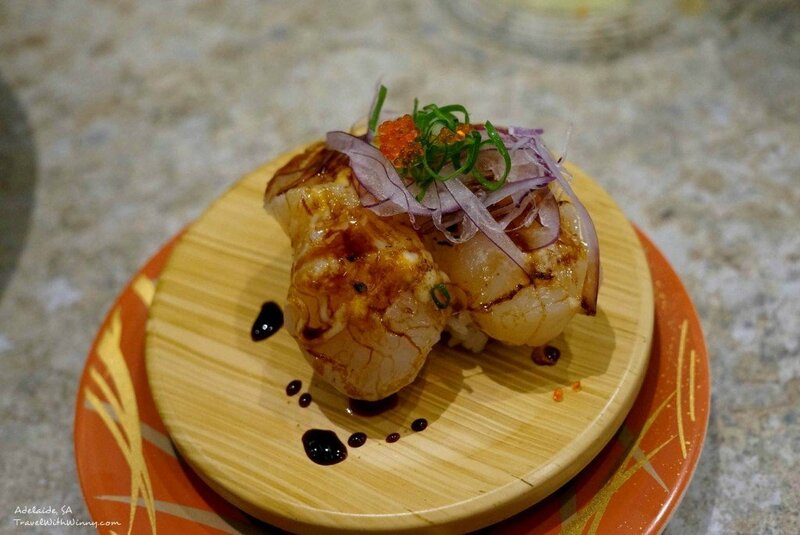 We finished our meal with some “Alburi scallop”. 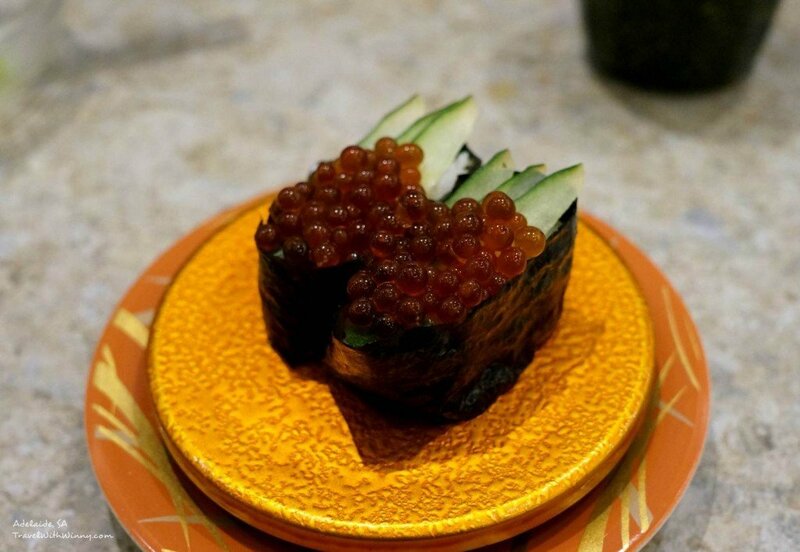 Alburi means slightly cooked with a flame torch and this gives the sushi some extra taste. I normally don’t like the texture of raw scallop but the Alburi ones taste a lot better. This dish comes with some Teriyaki sauce. After going to other Japanese restaurants, I finally understand that I can’t take good Teriyaki sauce for granted. The Teriyaki sauce here is nice and authentic. 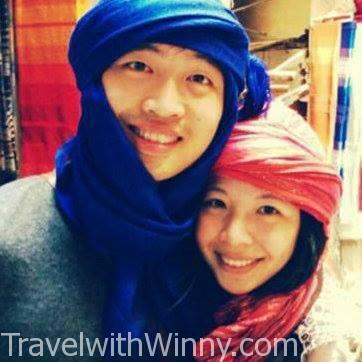 Winny and I are regulars of this place and are happy to share our pleasant experiences with you. It’s a great place for a decent Japanese meal.